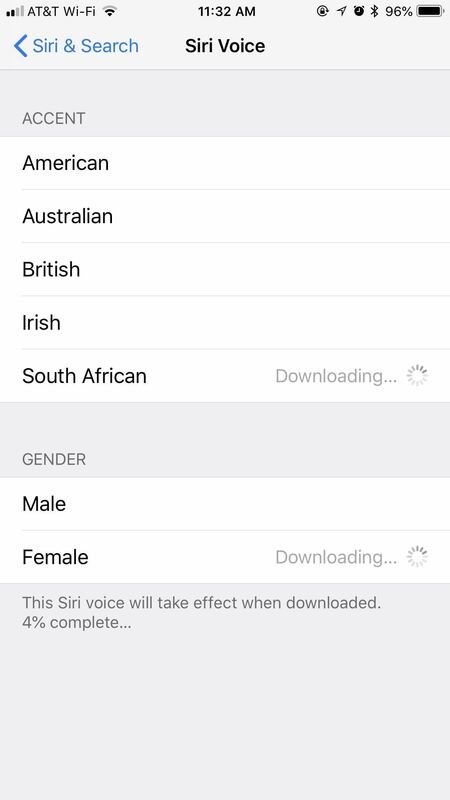 Ever since iOS 9, you could choose between American, Australian, and British accents for the English language, but with iOS 12 installed on your iPhone, you also get Irish and South African accents as options for Siri. 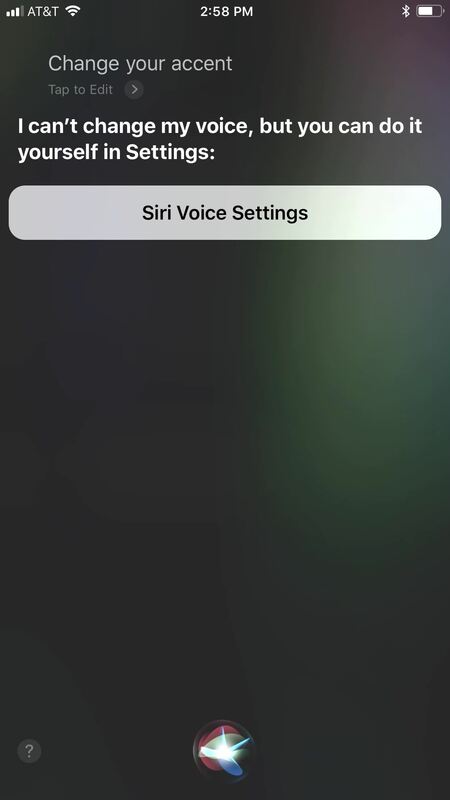 To change Siri's accent, open Settings, tap "Siri & Search," then select "Siri Voice" under Ask Siri. This is where you'll find all the voice options available to you. 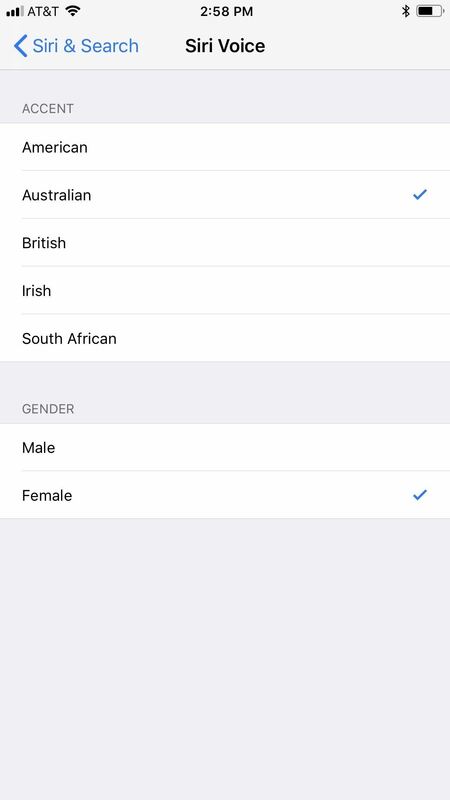 You can choose between Male or Female under Gender and American, Australian, British, Irish, or South African under Accents. Remember, those last two options are in iOS 12 only. If a gender or accent isn't already downloaded on your device, whenever you tap on one, it'll start downloading the accent, gender, or both. You can check the progress of voice downloads at the bottom of the menu (if you see nothing, it's downloaded). Make sure to wait for it to complete before tapping anywhere else, unless you changed your mind. 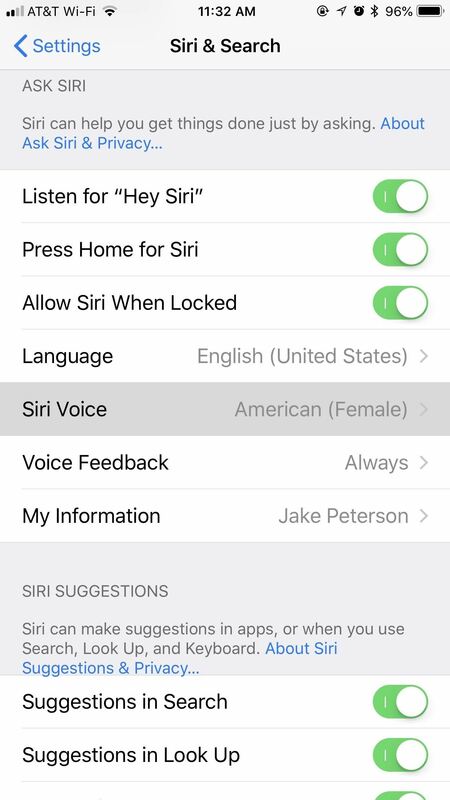 Tapping on any of these options will also let you hear a preview of Siri's accent and gender, no matter if it's downloaded or not, as long as you have your volume turned up (the Ring/Silent switch does not have to be on ring mode). Once you know what you want, just make sure the accent and gender are checked, and that's it. You can return to this menu any time you want to mix up Siri's accent. For example, if the Male Australian accent isn't doing it for you, go ahead and try the Female South African voice. You have six different voice combinations for Siri in iOS 11 — ten for iOS 12 — so find the combo that's best for you. Unfortunately, you can't ask Siri to change its gender or accent. 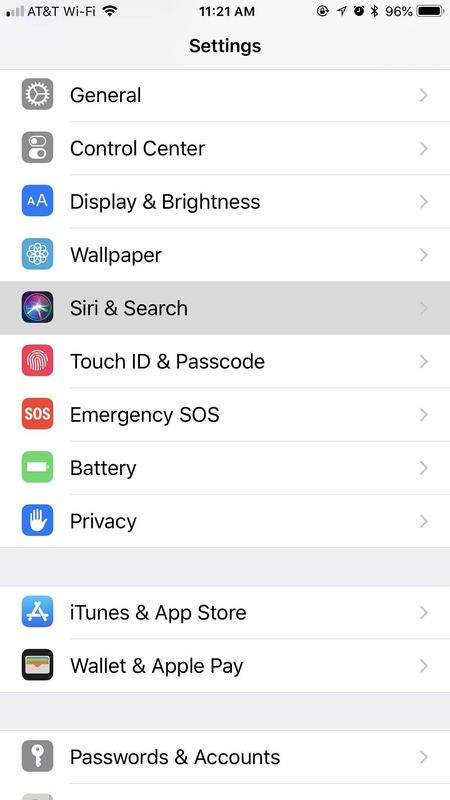 If you try, it will just give you the option to visit the "Siri & Search" settings.